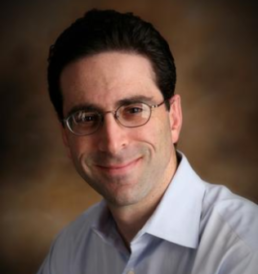 Dr. Adam I. Friedman grew up in Encino, California. As a child he was an avid tennis player and snow skier. His father was a physician, and for as long as he can remember he has always wanted to be a surgeon. After graduating from The Brentwood School, he attended Emory University, where he was a member of the Dean’s list throughout his education. Additionally, he was a member of numerous pre-medical and philosophy honors societies. He graduated from Emory with a Bachelor of Arts in Philosophy and subsequently completed his medical school and residency training in Otolaryngology – Head and Neck Surgery at the University of Southern California. Dr. Friedman is fluent in Spanish and relishes every chance he gets to practice using his second language. He is currently board certified by the American Board of Otolaryngology. In his free time, Dr. Friedman enjoys cooking. His family is originally from Omaha, Nebraska and they are huge Cornhusker fans. The Godfather is his favorite movie and he regards John Steinbeck’s East of Eden as the best book ever written. Dr. Friedman’s partners regard him as fastidious, detail-oriented, thorough, precise, honest and very well-liked by his patients.